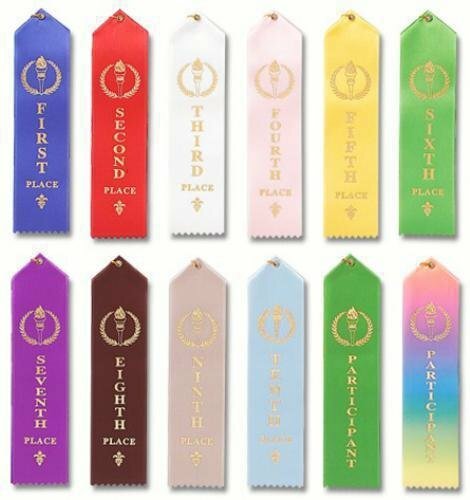 Our standard stock award ribbon is available in places 1st-10th, Participant and Honorable Mention. 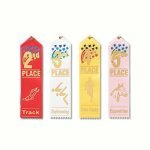 Economical and in stock for immediate shipping. 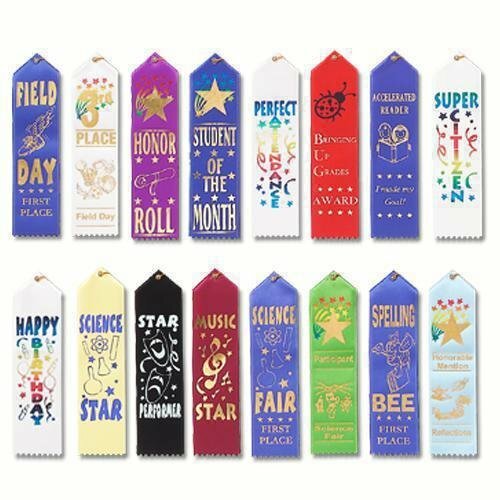 These classic award ribbons are pre-printed with gold foil in a timeless traditional design on 2" x 8" ribbon finished with a peaked top, eyelet, string and event card for recording winner, date, etc. 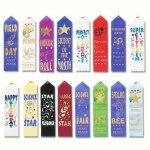 Peaked ribbon with festive designs and unique titles making these award ribbons a popular choice. 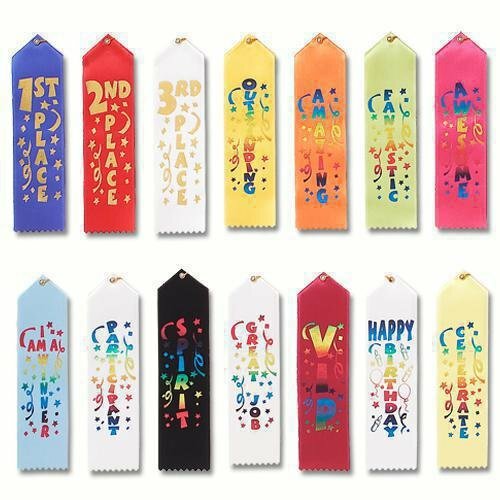 Premium grade 2"x 8" award ribbons pre-printed with bright metallic foils and finished with a peaked top, eyelet, string and event card for recording winner, date, etc. Premium grade 2"x 8" award ribbons printed with bright metallic foils and bold sports graphics. 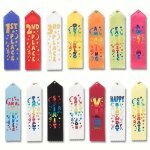 Peaked award ribbons are finished with an eyelet, string and event card for recording winner, date, etc.